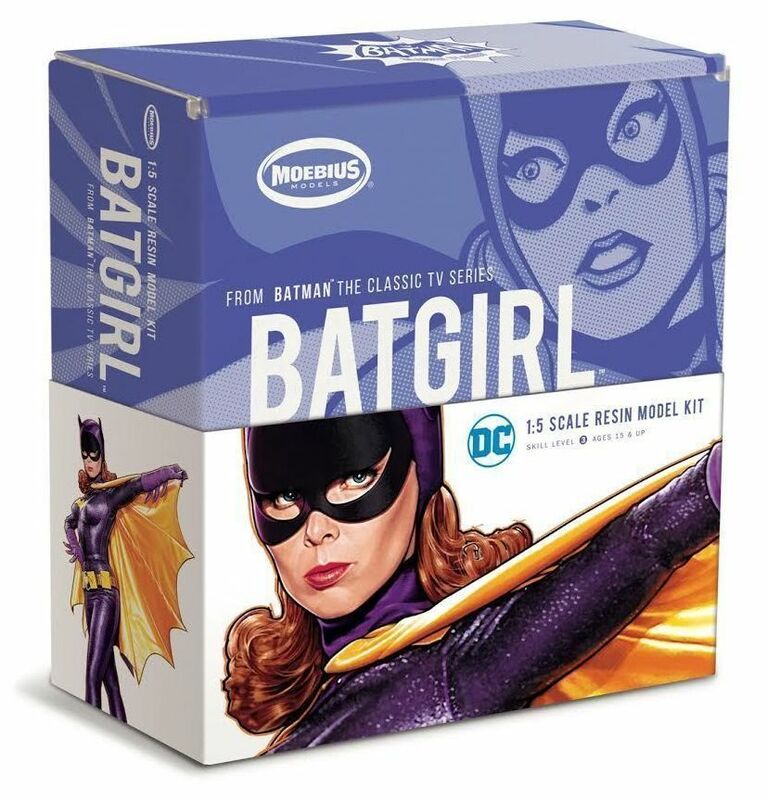 For the first time ever, Moebius Models offers a highly detailed resin kit of the Female Heroine based on Batman: The Classic TV Series! 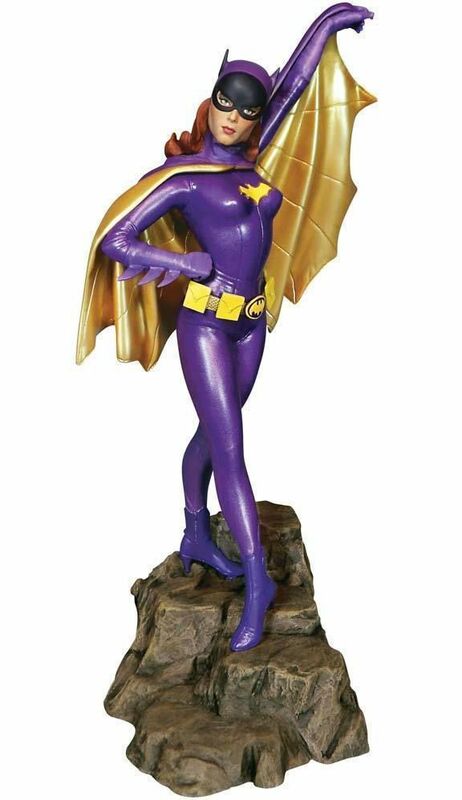 Accurate likeness of Yvonne Craig as Batgirl! Sculpted by fan-favorite master sculptor Jeff Yagher, approximately 1:5 scale; completed kit is 14" high. Includes display base and nameplate, Skill level 3, ages 15 and up. Made of Super Detailed High Quality Precision Cast Resin! 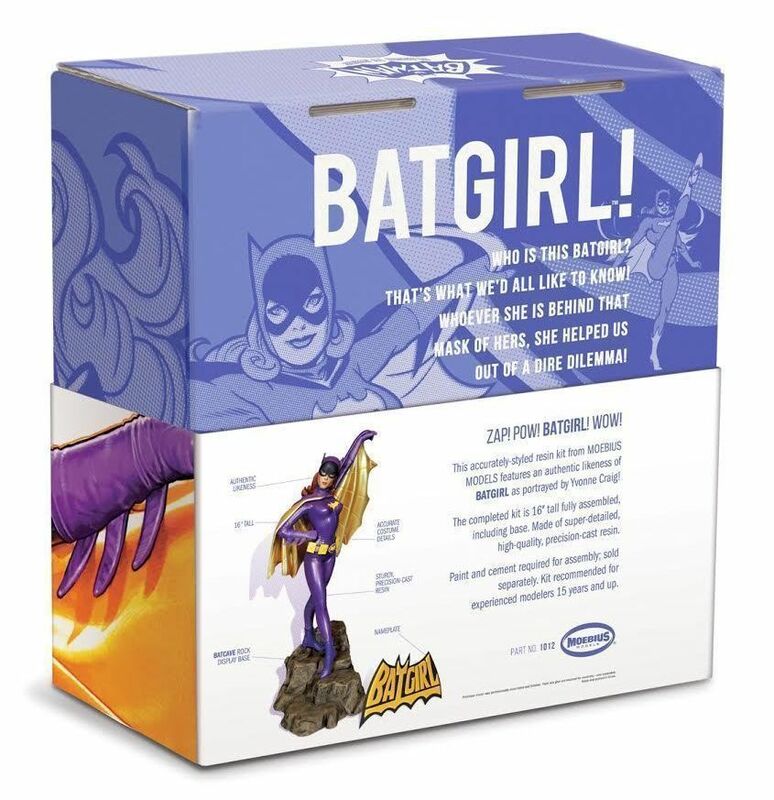 This kit is NOT part of the smaller 1/8 scale plastic Batman, Robin, Penguin, Catwoman series of kits, this is it's own kit, it is made of a different material and a different scale, again it is not part of a series. This is a Resin Model Kit and requires model building and painting skills. Many parts may require prep, sanding, fitting and some scratch building.